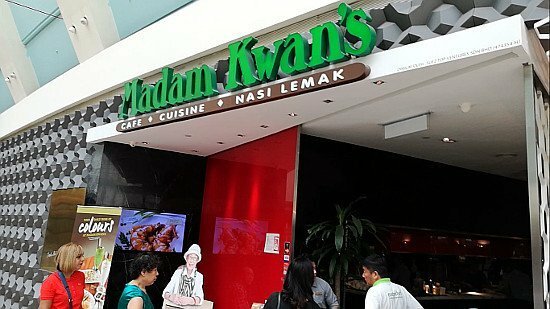 If there is ever a dining experience that fits the title as one of the Best Places to Eat in Kuala Lumpur, it would definitely be Madam Kwan’s at KLCC. 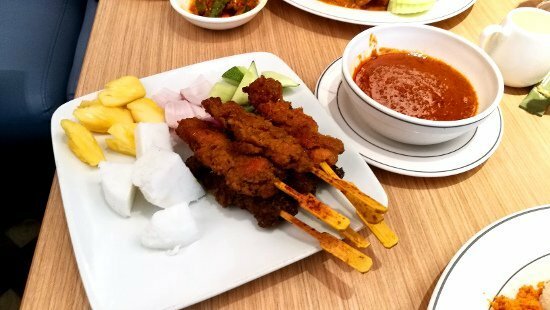 Their slogan – Truly Malaysian Cuisine – is no mere boast. Its truth is supported by the fact that their Nasi Lemak dish is named as the best by the Ministry of Tourism Malaysia. What is Nasi Lemak? Is Madam Kwan’s really worth the higher prices they charge? I will share that, and more, in this article. Before I go into sharing my experience at Madam Kwan’s, let me tell you what I found out about this restaurant. It has been around since 1977. The owner, Madam Kwan, is in her 80s. The menu she created is inspired by the cultural mix in Malaysia; Chinese, Malay, Indian, just to name a few. The focus is on hawker or wok style delights. 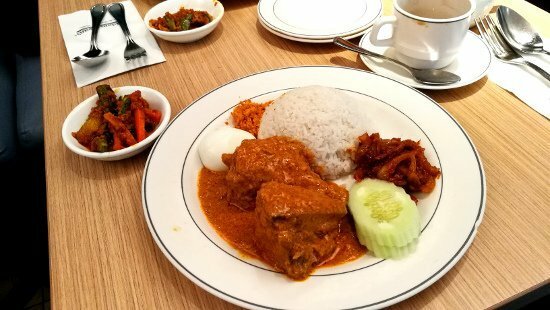 As a customer, you get to enjoy the uniquely created Malaysian Cuisine, inspired from street food, in the comforts of a cafe setting. The signature dish is the famous Nasi Lemak. It is even shown on their front signage. There are many other local food on the menu like Hokkien Mee, Char Kway Teow, Laksa as well as refreshing desserts like Ice Kachang, Sago Gula Melaka, and Chendol. It was the last day of our vacation in Kuala Lumpur. We had a few hours before taking the Aeroline Luxury Bus back to Singapore. We did a bit of shopping at KLCC. Before we knew it, it was lunch time! We were hungry, and at the same time, we wanted our last meal in Kuala Lumpur for this trip to be really good. I recalled there were cafes and restaurants on Level 4. So we took the lift up to the floor to explore. We did not have to do much searching for the right place to eat. We spotted Madam Kwan’s, and I remembered having read some good things about this restaurant before. There was a long queue. It was lunch time. So, that was expected. Surprisingly, they said the wait time would only be about 20 minutes. We figured that was not bad, not a really long wait. So we took a number, and just hung around. * Tip: We highly recommend waiting near the entrance where they call out the queue number. Many times, we saw many who went off to stroll around or shop, and missed their number, and had to wait a little more longer. While we waited, we entertained ourselves by taking photos and videos of the place. Time passed quickly, and soon our number was called. We walked in to the restaurant, and I noted that the place was packed. As mentioned, it was lunch time. So that is expected. The crowd was mostly the office lunch crowd and families. Many tourists, too, I am sure. All very well behaved. And not very noisy. Just the usual chat volume. The setting was like one of those business hotel cafe style. The decor was not aesthetic at all. Just very functional. Just a few small items that they tried to make the restaurant more Malaysian, for example, the little rattan basket that holds the cutlery and napkins. Just like the ambience, the service was also functional. Just friendly enough to get things moving. But not really warm and friendly. Madam Kwan’s Menu of Delicious Cuisine! Can you tell that I am excited? Well, I was! I had known of Madam Kwan’s for a while, and took note to try their food some day. And what better day than this, and where better than in their homeland? We were shown the menu, and we took time to peruse. Sorry, everyone. I forgot to take photos of the menu. Will learn and take photos of menu in the future. There were many choices. As mentioned earlier, there were Hokkien Mee, Char Kway Teow, Laksa, and Nasi Bojari for the main course. There were also lots of starters and side dishes. Plus, a wide range of desserts like Ice Kachang, Sago Gula Melaka, and Chendol. Yes! Nasi Lemak! It is the Signature Dish. So must try! Nasi Lemak has rice made fragrant with coconut milk. It was served with Chicken Curry, Sambal Ikan Bilis (like spicy anchovies), Dried Shrimp Floss, Hard Boiled Egg, Achar (pickled vegetables done in local flavors), and Cucumber. After a bite of the Chicken Curry, we agreed that it was really good. Not too spicy, and a very full and yet not too heavy curry flavor. The chicken was tender and tasty. The coconut rice was very well done. The aroma of the coconut flavor was just right. I have eaten my fair share of Nasi Lemak. And always frowned upon those that made their rice with little or no coconut flavor. What is Nasi Lemak without the lemak?? Overall, it was a very satisfying dish. We also ordered the Satay. It is skewered meat that has been marinated with herbs and spices, and cooked by grilling over fire. Slices of cucumber, pineapple and onions are served with this dish. There is also the Ketupat, which is a type of rice dumpling that was cooked in woven palm leaf pouches. One more item to this meal is the Peanut Sauce. This is for dipping the meat into, and adds to the flavor and taste. Many people like this part of the dish. The Peanut Sauce is very yummy. When I was a child, I remember scooping lots of the sauce to go with a small stick of satay. Unfortunately, the Satay at Madam Kwan’s falls a bit below my standards. The meat was very cold. Satay should be at least a little warm. The flavor was not enough, like as if they saved on the herbs and spices. And the peanut sauce was too mild. * Tip: Don’t order the Satay. You will be disappointed. Overall, Madam Kwan’s was a satisfying dining experience. But I do find that the quality of the food varies. Of course, it is not easy to have good quality for all their dishes. But it is a standard they can aspire to. 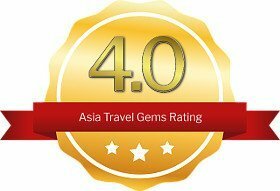 Again, Asia Travel Gems gives Madam Kwan 4.0 out of 5.0. One of the factors for the loss of an entire 10 decimal points was the lack of quality standards. The other is the robotic service levels. It may sound harsh, but think about the prices they charge. It is at least 3 – 4 times more than what we would pay at a hawker stall. Maybe even 5 times now, as the prices keep going up. For example, the Nasi Lemak is $21.90 (not including taxes). So, I do have high expectations for the prices paid. Still, if you are going mainly for the Nasi Lemak, then it is worth a visit. The large crowds that fill the restaurant daily proves that the food is still good enough to enjoy. Where is Madam Kwan’s KLCC? For easy reference, it is the same location as the Petronas Twin Towers. 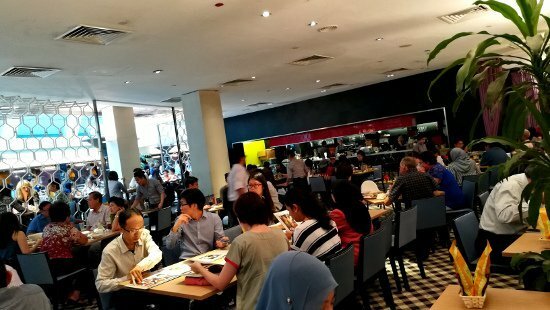 If you have ANY questions about this review, about Best Places to Eat In Kuala Lumpur – Madam Kwan’s KLCC Malaysia, ANY at all, please submit your questions as comments below. I will be happy to help you out. You’re successful to make me feel hungry now. It was a great article and I believe it must be a great restaurant as well. I wish someday I could visit Kuala Lumpur. haha … we’re happy the food makes you hungry. We hope you do get the chance to visit the restaurant some day. 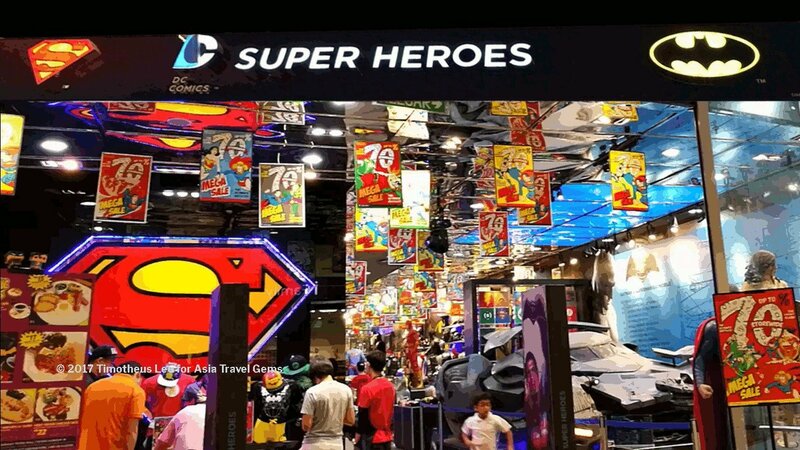 Especially to visit Kuala Lumpur. And when you do get the chance, do come back to read about KL, and where to go, what to eat, etc. WoW that food looks great, makes me want to go to Malaysia! Good tip about waiting by the door so you don’t miss the number being called. Thank you. Yes, you must visit Malaysia. 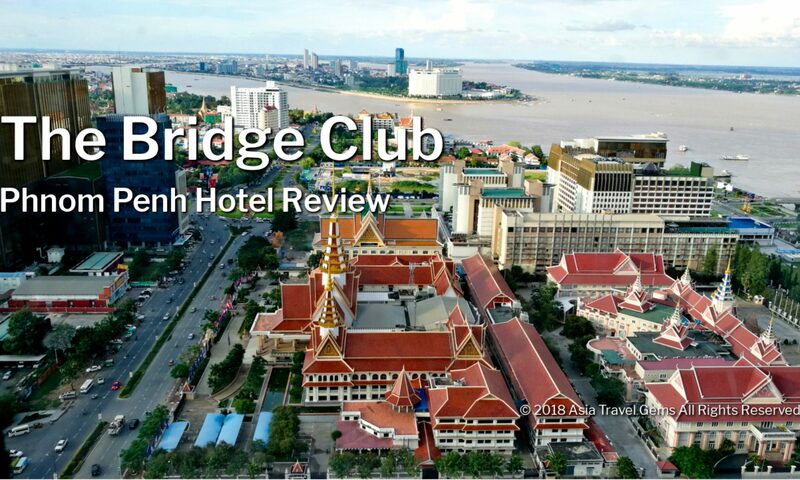 The food is great, interesting places to visit, and more! I’m actually in the process of planning my trip to KL this fall and was looking for some highly recommended restaurants. Glad I ran across this article as I’ll definitely stop by and give it a shot. Thanks for the tip on waiting near the front, I guess they don’t have an option to text you when your table is ready? We’re happy that our website and posts can help you plan for your trip to KL. Yes, our posts are filled with useful tips. Do look out for them. The tips can definitely make your trip a much more pleasant one. Do subscribe our newsletter to get updates, too.